An historic venue at the heart of Saltaire, run for the community by the Salt Foundation, an independent charity. Located at the heart of the picturesque World Heritage site of Saltaire, Victoria Hall is an outstanding Grade 2* listed building that retains all of its original Victorian grandeur, beauty and unique architectural features. Originally built by philanthropist Sir Titus Salt in 1869 as a centre of recreation, culture and learning, Victoria Hall still fulfils the same function to this day, with five stunning rooms available for hire. The venue is owned by the Salt Foundation, a charitable trust, and managed on their behalf by Shipley College. 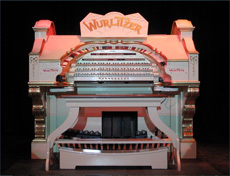 The Hall is proud to be home to Yorkshire’s finest Wurlitzer cinema organ. For more information, please visit the Cinema Organ Society North website by clicking the link. Victoria Hall is the only approved premises within Saltaire for civil wedding ceremonies and is the ideal setting for all occasions including weddings, meetings, dinner dances, parties, community based events, festivals and performances. The venue is also regularly used as a film location for TV, film and radio, most recently by the likes of BBC’s Antiques Roadshow, BBC Radio 4’s Any Questions and ITV’s The Royal.